I'll be heading over to one of my spots to pick some after work today. I plan on making dewberrie Panna cotta over the weekend. The wife who is a lot better at picking them won't go with me anymore as she somehow manages to get into poison ivy every time...lol Here is link to the recipe ill be following. Well shoot. Now I'm gonna have to go find me some dewberries. That recipe looks good. That’s what the sticks in hand and the A391 extrema in the ranger is for! Wow it seems really early. I guess I will have to go check on them at the lease. Since coming to Houston I have not found enough bewberries to start to make a cobbler. It can be tough but I’ve seen some pretty good patches along the highways in Brazoria County going towards freeport. I picked a few cups worth on Friday for the panna cotta and the wife and I went back yesterday and picked 2 gallons in about an hour. The panna cotta turned to be really good! This was the first time trying or making panna cotta so i didnt know what to expect. It tasted like a creamy berry flavored pudding but creamier and slightly tart. It was good but it didn't compare the cobbler my wife made! Ill post up the recipe she used in another post. Best way to find spots is to look for all white flowers that bloom in mid March. Like Russ81 said you can spot them usually on the side of the road while driving. Thats awesome! I will be taking my little one this weekend. She loves to pick them!. They are ready at our place. My wife picked some earlier today. Good stuff, haven’t picked any in years. Mom used to make cobblers, pies and jam. Mine are not near close to being ready to pick. Still green. Looks like a good place for Dewberries and Snakes. Still not ready in Caldwell County. Lots of reds and tons of greens. Hope when I get to the lease this weekend the birds haven't got to all them. Louie me some dew berry wine! Best jelly you have ever eaten!!! I love me some dewberries for sure. Prob a dumb question...but are dewberries just native blackberries? Or is it a whole different plant? My dewberries are not ripe yet. The ones that look ripe are still sour. As the Cajun Ninja says PAI-YAAA!!! Nice!!! I just got done picking another 2 gallons. 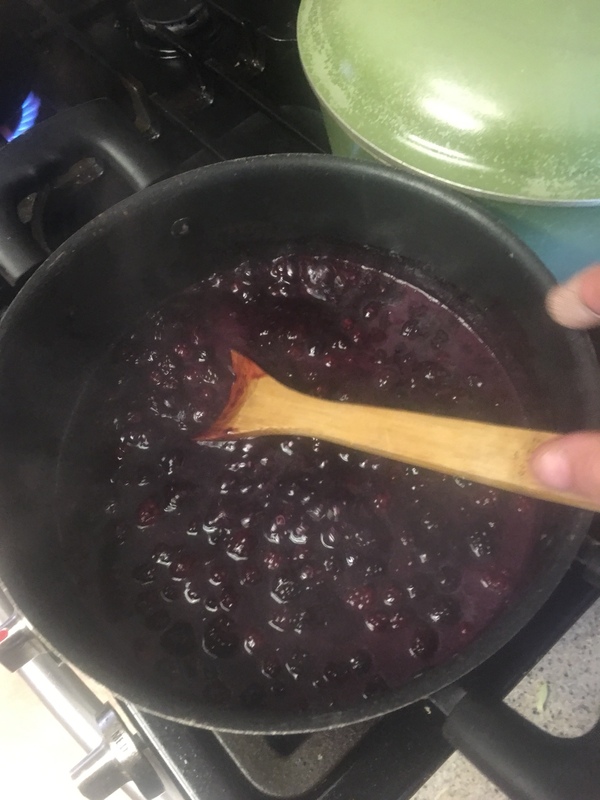 Are you making jam?